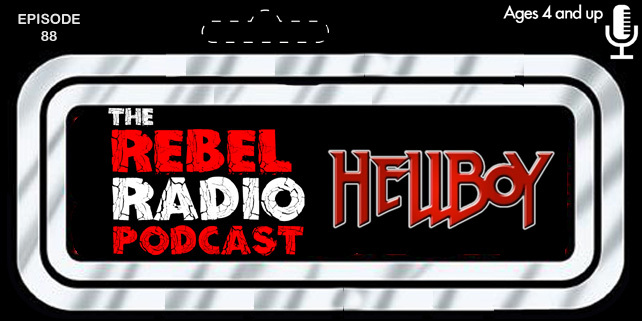 Mark & Matt are back in studio and ready to talk about the 2004 film Hellboy. Director Guillermo del Toro recently won an Oscar for his film The Shape Of Water but we go back and look at a favorite comic book film of ours that he directed based on the Dark Horse Comics character. Ron Perlman was born to play Hellboy and Doug Jones, Selma Blair, and John Hurt are pretty great as well in this really well done and fun movie. We jump into our discussion on Hellboy with fire and brimstone to discuss the film. Mark also got back from seeing Ready Player One and gives you non-spoiler thoughts on what he thought was a really fun filled nostalgia ride of a movie! They also discuss The Last Starfighter reboot, the latest Star Wars news and tell you what they have watched or streamed in Download This! Before the show ends they give a brief preview o the next film we will cover, 1995's Se7en.